We all know that our diet and food intake has a major influence on our health – this is especially true for seniors who need all the nutrients that they can get. On the other hand, some seniors may find it difficult to cook their own meals; this is why at OptimumCare Home Care Services, we offer meal preparation services! Restaurants – fast food chains and otherwise, are notorious for having foods with high sugars, calories, sodium, fat, carbohydrates, and are likely to contain little to no nutritional content. However, with our meal preparation service, we make sure to prepare a well-balanced meal – removing unnecessary and unhealthy ingredients and replacing it with healthier options. Majority of individuals have allergies to certain ingredients – and when eating outside, you never know the full ingredients of the meal you are consuming. While there are certainly medications that can counteract allergic reactions, having an allergy-attack can be dangerous for seniors. That is why our caregivers at OptimumCare Home Care Services will make sure to prepare meals that are safe and allergy-free! Moreover, if you have any other dietary restrictions (e.g. if you are diabetic, a vegan, or etc.) we will make sure to prepare your meals accordingly. Another advantage of having your meal prepared by our caregivers is that you can have the peace of mind that your food is made cleanly. Not only do we make sure to use only the freshest ingredients, but we also make sure that your kitchen and dinnerware are sterile and are cleaned thoroughly. 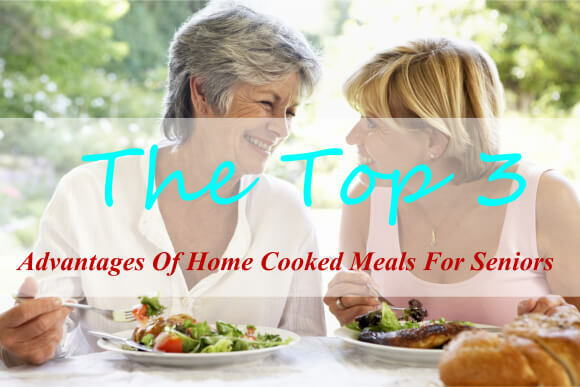 There are countless advantages as to why a home cooked meal is beneficial for seniors. At OptimumCare Home Care Services, our caregivers are here for you and they are definitely ready to assist you with meal preparation. Want to learn more about us and our other services? Call us at 703-490-8003 for more information.